Ralph Eugene Miller, 77, of Salida died February 2, 2019. He was born August 24, 1941, in Springfield, Baca County, CO, to Monroe Miller and Mary Evelyn Stagner Miller. Ralph moved to Salida in 1962 to work for the US Forest Service building campsites. 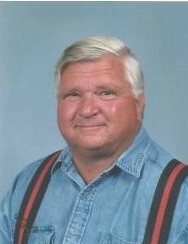 In September 1963, he hired on at the Climax Molybdenum Mine in Climax, CO, where he worked until he retired in 1995. Ralph worked in multiple positions within the mine, including a number of years as an officer of the Oil, Chemical, and Atomic Workers Union. He married Ellen Elora Freek in November 1963. They had two sons, Roger and Steven. Ralph grew up in Campo, CO, graduating as the Valedictorian of his class. He attended Lamar Junior College in Lamar, CO. He is widely known for his keen intellect, his sense of humor, his deep love of children and animals, especially dogs. He enjoyed all of nature and took special delight in feeling the sun on his face while watching the deer and listening to the birds with the mountains as the backdrop. His favorite music was country and gospel. Ralph was a loving father, husband, and adored his grandchildren. Ralph is survived by his wife of 55 years; his son Steven; his daughter-in law: Amie Miller (Dave) Neeley; his grandchildren: Kaitlyn Miller (Justin) Eilerman, Samuel Miller, and Noah Miller; his siblings: Lyle (Barbara) Miller (LA), Gene (Yvonda) Miller (TX), and Beulah Patrick (CO), along with many nieces and nephews. He was preceded in death by his parents, his son Roger, and siblings Della (Roy, still living) Buckner and Vergil (Dorothy) Miller. Services will be held on Saturday, February 9, 2019, at 2:00pm at the Grace Church, 1320 D Street, Salida. Interment will follow at Fairview Cemetery. In lieu of flowers, contributions may be made payable to CRU (Campus Crusade for Christ). Send checks for Ralph Miller c/o the Lewis and Glenn Funeral Home, 203 E Sackett, Salida, CO 81201. Arrangements have been made through Lewis and Glenn Funeral Home in Salida.